The Finance Dashboard sample demonstrates the data chart, combo, dialog, and zoom bar controls for the Financial Services industry. The data chart is optimized for high-speed financial charting. This sample uses large datasets with millions of data points and real-time updates. 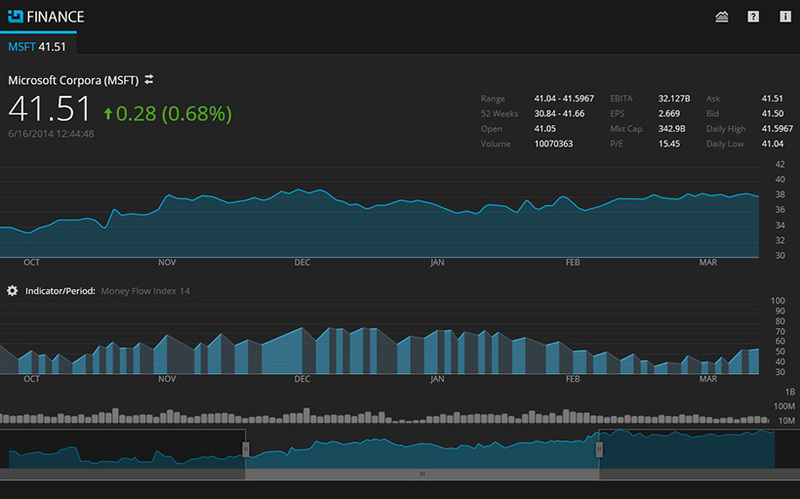 The data chart enables key statistical and technical indicators and comparisons to key competitors.